In every country, in every city there are many hotels and guest houses, which can entertain any traveler. The choice is very varied. Someone needs room for a two-week vacation, someone for a day, and someone and for a longer stay. That raises the question before the owners of the hotels – and what to surprise your guests, how to engage them in your hotel? 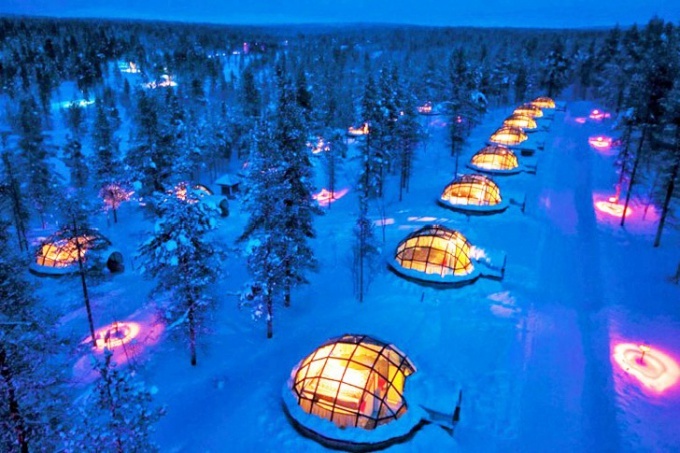 I'll talk about some of the most unusual hotels in the world. 1. Hotel Ioann Vasilyevich. Cinema Club, Yaroslavl, Russia. The feature of this hotel is that the interior of the room played films shot in Yaroslavl: "Ivan Vasilyevich changes occupation", "Afonya", "Crew", "Kotovsk", "Doctor Zhivago", "Unbelievable adventures of Italians in Russia", "the Twelve chairs", "Big change" and many others. This allows guests to plunge into inimitable atmosphere of a particular time and feel like a hero of a favorite movie. 2. The hotel " Palacio de Sal, Uyuni salt flats, Bolivia. This hotel was built quite recently – in 2007. 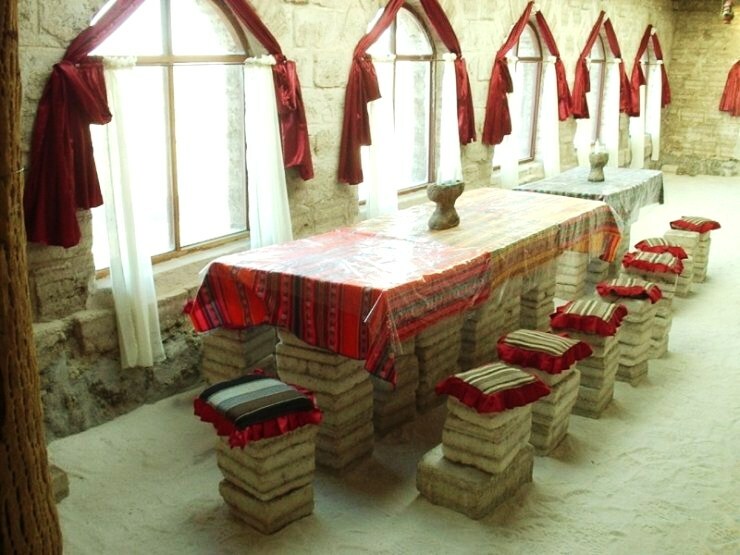 Its uniqueness lies in the fact that the entire hotel is made of salt – walls, floor, roof, furniture and even beds. The hotel has 16 rooms with all amenities, living room, dining room and a bar. The hotel has a real fireplace and upstairs there is a spacious terrace for lovers of the starry sky. Because of its "strangeness" and proximity to the Uyuni salt flats, the hotel is in great demand. One of the requirements of the owners says: "we urge visitors not to lick the walls!" 3. Hotel "Poseidon Undersea Resort" the Poseidon island, Fiji. 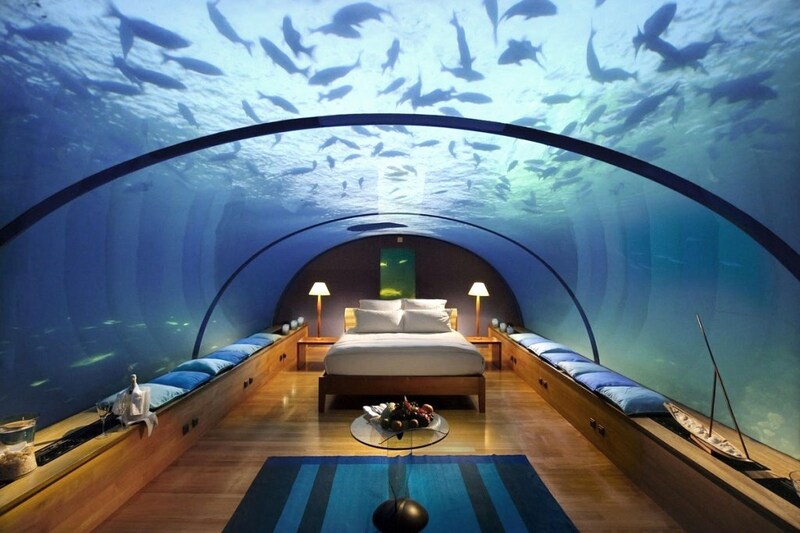 This hotel attracts tourists for its underwater rooms. Rooms are at a depth of 15 meters. Each room is a separate "capsule", whose walls are made of a special transparent resin plastic. While staying in the room available around the clock to observe the marine life, including a special light that will attract their attention. Here are just 25 rooms-capsules, and one luxurious room, with an area of 300 square meters, decorated in the form of a submarine from the novel by Verne. Also under water there is a large panoramic restaurant. Despite the very high price (the cost of a week stay per person from$ 15,000 or more), there is almost no free seats. 4. 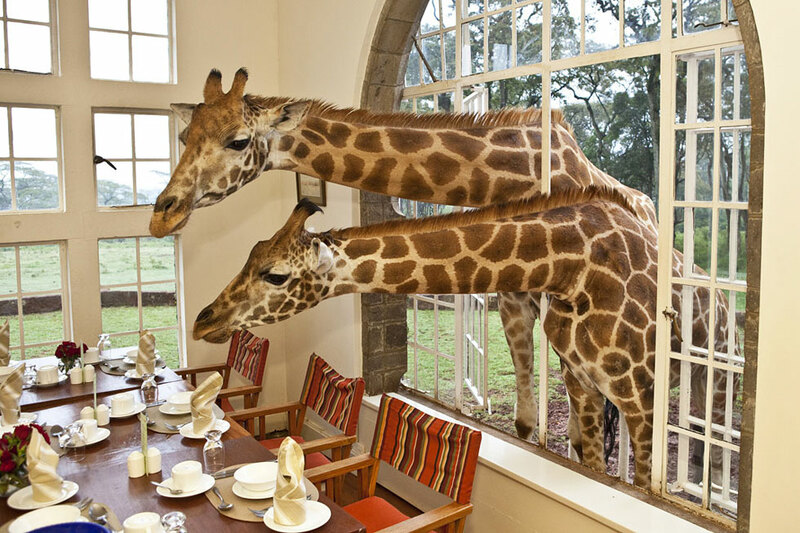 Hotel Giraffe Manor, Nairobi, Kenya. The hotel covers a huge area and is surrounded by magnificent ancient forests. But attracts tourists, a herd of giraffes who live on site. Giraffes are the rightful owners of this place and free in their movements. They are very friendly and not averse to look into the living room for tea and a nice chat. Due to its growth, they peep into the bedrooms of the second floor to attract attention and hoping to get some kind of treat. Also on site is inhabited by antelopes, hyenas, wild boars and more than 200 species of birds. 5. 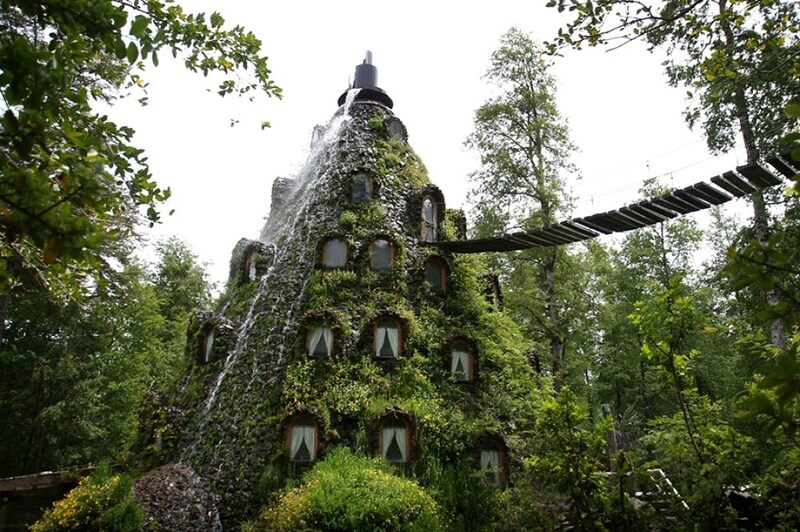 Hotel Magic Mountain Hotel in the province of Valdivia, Chile. 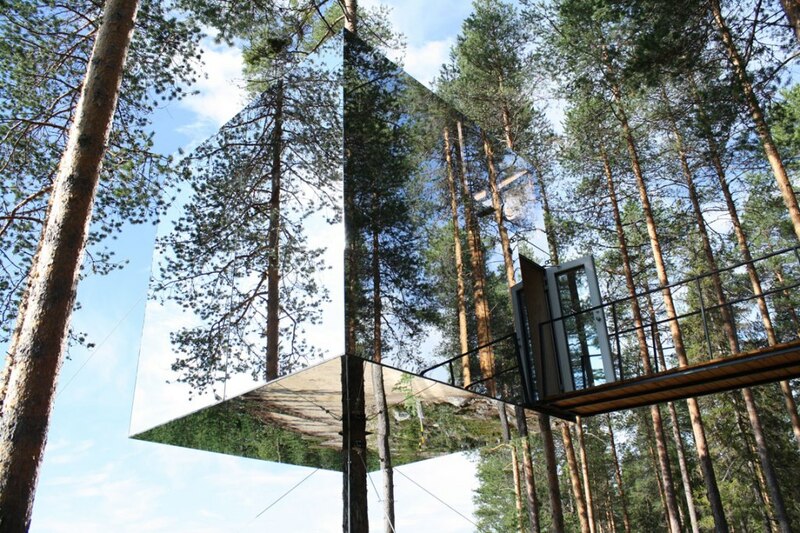 This hotel is situated in a Park-reserve, surrounded by lakes and forests. In order not to disturb the delightful picture of nature, the hotel was built in the mountains. The hostel is like a house of fairy tale dwarves, all overgrown with plants, and with the top of the "mountain" of flowing waterfalls. To get inside the hotel, you need to pass the suspension bridge. Inside there are proper rooms with all amenities. The hotel is small, only 13 rooms and each has a name of some birds that live in the reserve. On site there is also mini Golf, restaurant, bar, sauna. Outdoors are hot tubs made of tree trunks with naturally heated. 6. 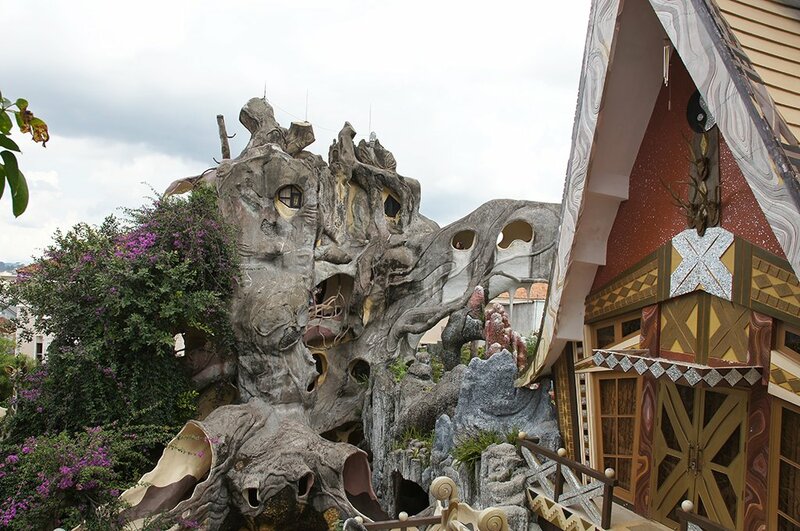 The Hotel "Crazy House" In Dalat, Vietnam. The hotel is built in the form of a magical trunk of a large tree, climbing the steps which you are taken to different levels where the rooms are like caves. Each room at the hotel is decorated in a certain style – there is room, "Bear", "Ant", "Tiger" and others. In the hotel's endless corridors, crossings of different levels and stairs. Despite the awesomeness and uniqueness of this place, I would not advise to stay here as the hotel room door should always be open so anyone could admire the intricate rooms. 7. Hotel Seaventures Dive Resort, Sipadan island, Malaysia. 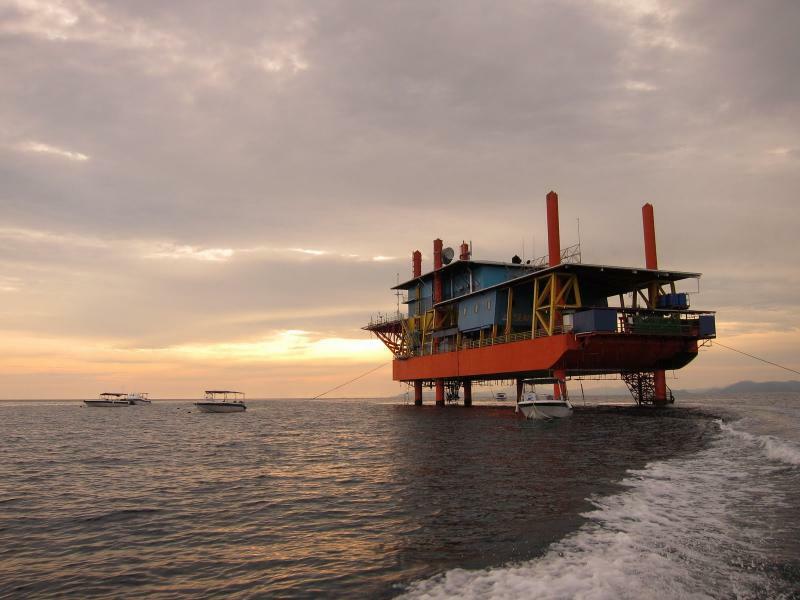 The hotel is located in the sea and is located on a former oil rig. Getting here is not easy, but the hotel is extremely popular among divers from around the world. Chic this hotel is not called, as the rooms are the former quarters of the working oil. Most of the rooms have a modest size but equipped with everything necessary. The main treasure of this hotel is tucked away right under the oil platform just to dive into the water and you will discover all the diverse and amazing underwater world. 8. The Hotel "La Villa Hamster, Nantes, France. The hotel consists of only one room, 16 square meters. According to the creators, the visitor of this hotel needs to feel like a real hamster. The room has a container of grain, iron barrel with drinking water, bed you want to get hanging in the air, the iron stairs. 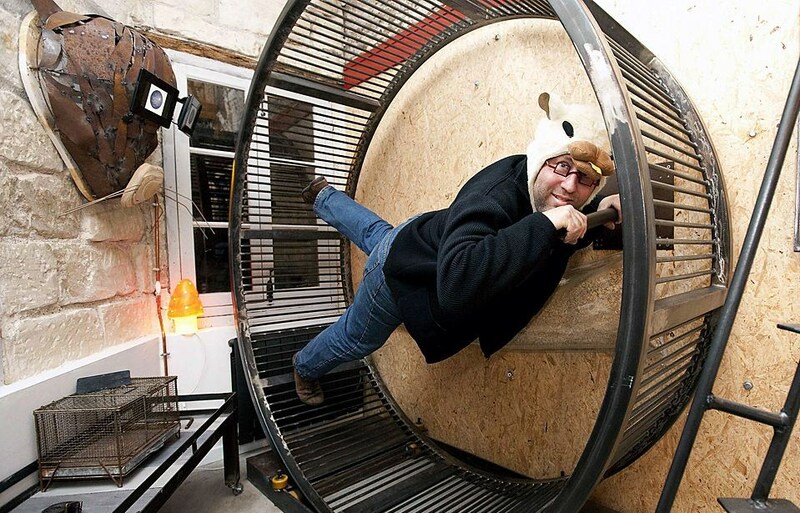 If you suddenly become bored or you don't end up feeling like a real rodent, the room has a large metal ring on which you can run even together. When you arrive at the hotel you are immediately handed the suit of the hamster and offered to try their hand at the wheel. 9. Hotel Propeller Island City Lodge, Berlin, Germany. Attracted to the hotel because each room can be safely called a work of art and ingenuity, the same two you will find. For example, one room is fully mirrored, the other floor is slanted. 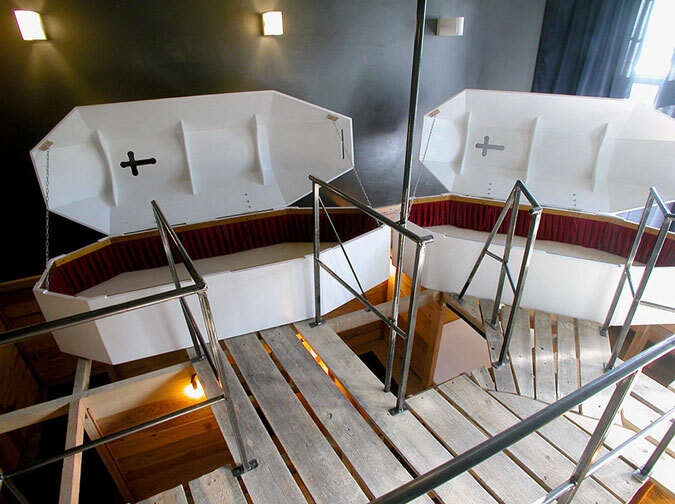 Visitors can spend the night in coffins or in the room with the bed bolted to the ceiling. There is room – a replica of a prison cell, a room with two cages instead of beds, there is a room with strange mechanisms, reminiscent of instruments of torture. And that's not all surprises. If you are tired of the routine of daily life and you urgently need a new experience, you do it here. 10. Hotel "Kumbuk River Resort, Ella, Sri Lanka. The hotel is situated on the banks of the river, near a nature reserve inhabited by wild elephants, peacocks and other exotic animals. Nearby are waterfalls and pristine beaches. 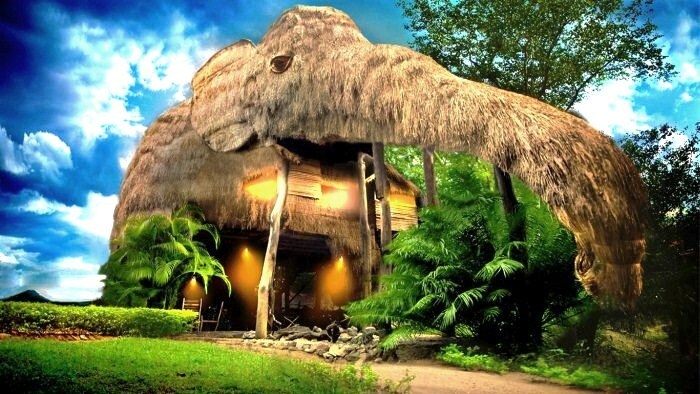 The hotel is built in the shape of a huge elephant. Inside there are only 4 rooms, which can accommodate no more than 12 people. The hotel has quickly become popular among fans of eco-tourism. Despite the wildness and untouched by the outside world, the hotel has all the benefits of civilization. On site hand full of chipmunks who are eager to meet you. After resting at the hotel, you can safely boast to friends that spent the night in "the belly of the elephant." What would be a comfortable level, nor was the hotel, if she does not possess the unique and memorable features, she has no chance of becoming world famous. To date, forefront hotels and hostels that can provide its residents with previously unknown emotion and provide a memorable experience. 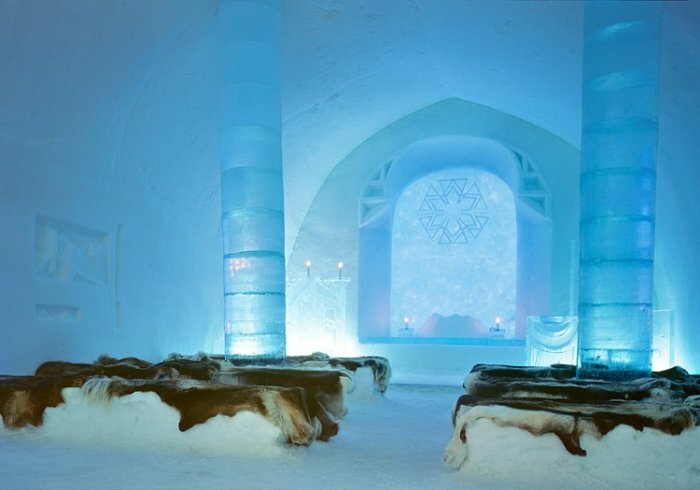 First in the list of such hotels so-called Ice palaces. The idea of such construction has gone even since the eighteenth century, when a whim of Anna Ivanovna was built Ice House. Of course, these two structures cannot be compared, because in the new building of the ice are all conditions for comfortable pastime. The second unusual hotel is the Salt House, located in the Andes. It is made entirely of rock salt, raw material for which is extracted from the nearby salt lake. In comparison with such masterpieces any of the hotel cities will not be able to provide adequate competition. The following hotel is literally floating above the ground. A similar miracle is built in Brazil and has no analogues. Somehow wedged between the crowns of the giant trees, the hotel can rightly be called an exotic place, even extreme, because the height at which it is located, can frighten the most courageous people. It is impossible to forget and about the hotel under the water. These apartments will especially appeal to lovers of the underwater depths. 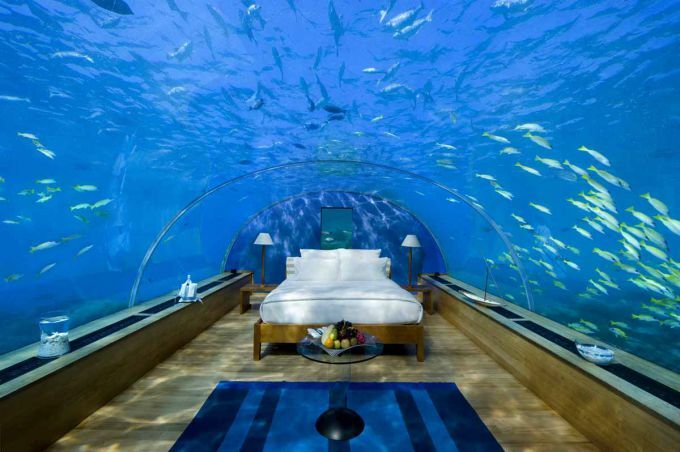 Because through the walls of his room, visitors can observe the whole underwater world at a glance. In Australia, on the contrary, there is a hotel under the ground. There better drop when the hot season. Relax in the pleasure from the Madding crowd, to sit on the Internet and try a drink from the bar.